Escorts has unveiled an electric farm tractor in an effort to address the demands of progressive farmers. Clocking 33 per cent year on year (Y-o-Y) growth in net profit to Rs.63 crore for the quarter ended June 2017 (Q1FY18) as compared to a net profit of Rs.47 crore in the corresponding quarter in June 2016 (Q1FY17), Escorts Ltd. has unveiled an electric farm tractor to address the changing demands of progressive farmers. 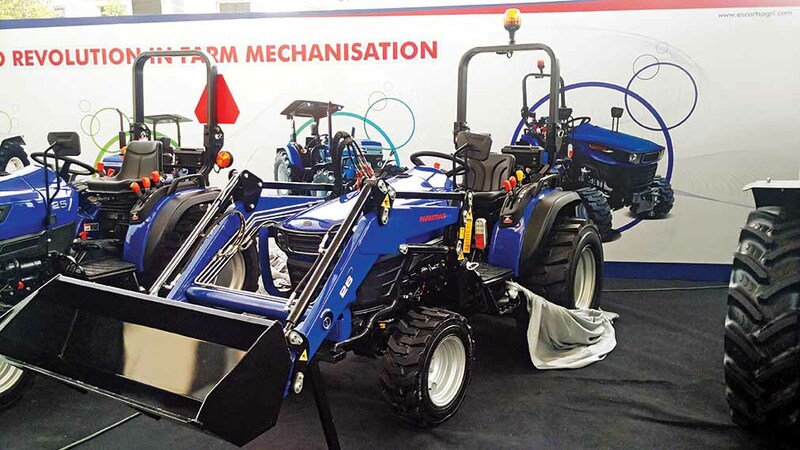 Keen to serve the growing aspirations of both domestic and global farmers, the Faridabad-based farm equipment maker is also expanding its global portfolio of tractors under the Farmtrac and Powertrac brands. 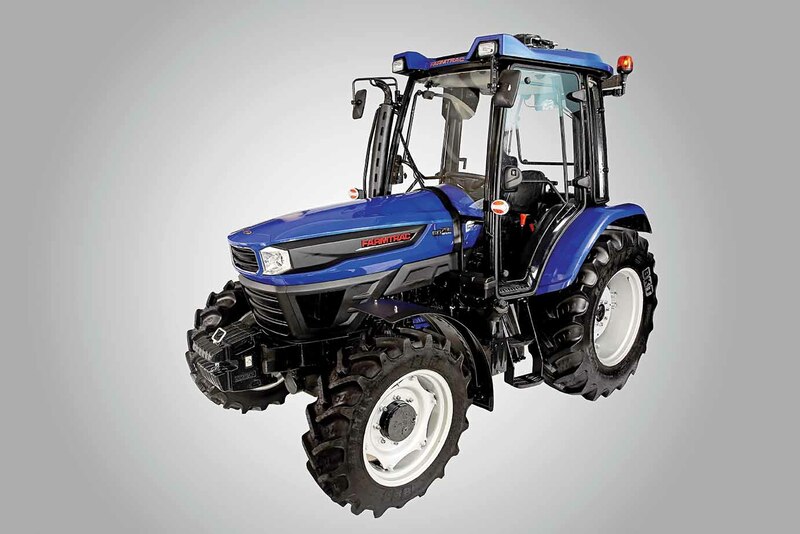 Lining up tractors in the range of 22 hp to 30 hp that are tier IV emission norms compliant, and are aimed at international markets like US, Latin America, Africa, ASEAN countries and Europe, the company launched a new range of tractors under the New Escorts Tractor Series (NETS). These produce between 70 and 90 hp. Speaking at the launch, Rajeev Nanda, Chairman, Escorts Ltd., expressed that they are keeping up with the demands of today’s progressive farmers. “For them, it is important to offer products that are of high quality with specifications that would make them competitive and attractive,” he mentioned. Anticipating a rise in demand for tractors above 75 hp, Escorts Ltd. is driving its exports portfolio to have tractors of up to 120 hp. Stress is on being a full range player. Said Nikhil Nanda, Managing Director, Escorts Ltd., that the effort is to disrupt as well as offer a new experience. The intention is to create a quality platform that will serve multiple applications at affordable costs, he mentioned. With an investment of up to Rs.30 crores, the existing Powertrac and Farmtrac tractor production facilities at Faridabad have been upgraded. The upgradation would touch three models – hydrostatic, electrical and mechanical. It will also lead to an improvement in areas like engines, transmissions, and electrical systems. To ensure high quality and tighter cost management, the company builds nearly 70 per cent of the components in-house. The Poland and Faridabad facility combined have the company rolling out one lakh units every year. Working on electric as well as hybrid tractors to offer environment friendly solutions that are viable and sustainable, Escorts Ltd., according to Shenu Agarwal, Chief Sales and Marketing Officer, customer acceptance will be the key. 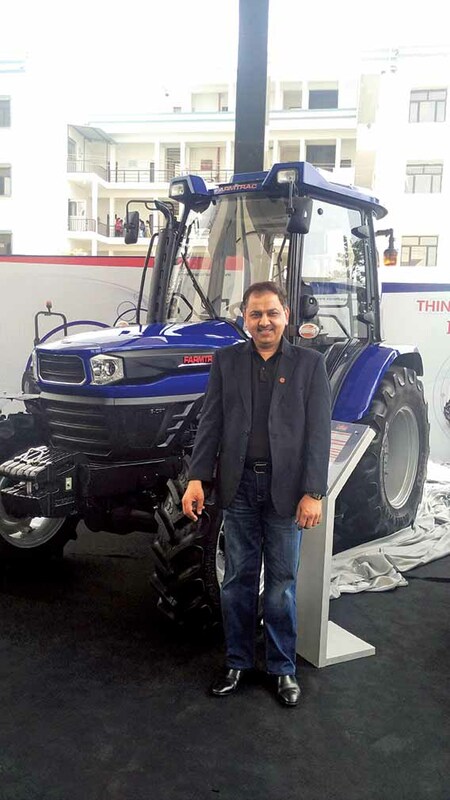 Agarwal averred that the entire tractor has been built around the battery, and it is necessary that it is sustainable for cost friendly operations. Opting for lithium ion batteries as they are light in weight and easy to maintain, the company, taking into consideration the limited area a tractor often operates in, has engineered it such that it can be charged by plugging into a 220-volt outlet. Keen to leverage the fact that the lithium ion batteries can hold more charge to support longer operational hours, the ability to charge using a 220-volt outlet may not be fast, it nevertheless saves the cost of setting up a 440-volt charging infrastructure. Pointed out Shailendra Agrawal, Chief Executive (Operations and R&D – EAM & ECE), Escorts Ltd., that the challenge in an electrical tractor are the initial costs. “Initial costs are high as the technology is new, and includes lithium ion batteries and control systems. 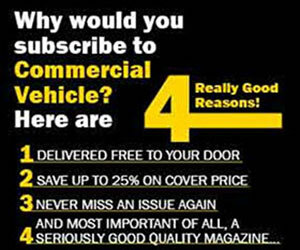 Such things can nearly double the cost in comparison to a diesel-engine tractor,” he said. Confident of the components costs dipping as volumes rise and technology gets embedded, Escorts Ltd. will continue to further invest in electric-tractor technology. It will continue to develop electric tractors. Mentioned Agarwal, ”I believe operating an electrical tractor would be less than 50 per cent of the maintenance of a diesel tractor.” As part of the continuing development of electric-tractor technology, the emphasis would be on minimising the wastage during vehicle operation. Particular attention will be paid to the software, the nature of operation, how energy is conserved, and if the same battery could be used to operate the tractor for longer hours. 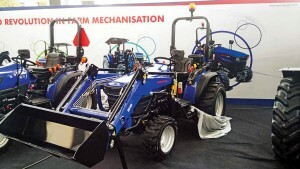 Touching upon the 75 hp, hydrostatic transmission equipped tractor that his company produces, Agrawal explained that the tractor is 20 to 25 per cent more fuel efficient due to the hydrostatic transmission that it flaunts. 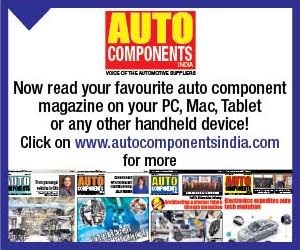 Ensuring less friction and transmission losses, the hydrostatic transmission, said Agrawal, is like the automated transmission prevalent in cars. Building tractors that are equipped with an ergonomically designed air conditioned cabin, 24×24 transmission (developed indigenously), and temperature sensors, Escorts Ltd., is looking at fast increasing its market share. The company registered a growth of 21.2 per cent in FY17 by earning a revenue of Rs. 4,167.6 crores (up from Rs. 3,438.7 crores in FY16). Registering a volume growth of 24 per cent during the same period, the company sold 63,786 tractors, against 51,455 tractors in FY16. Enjoying a market share of 10.8 per cent in FY17, the company hope to increase it by 20 basis points in the next one year. “Our exports may be small, but our range is complete. We are targeting an export of 12000 units. 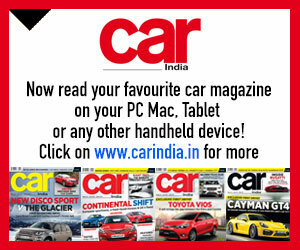 It may take us next four to five years to accomplish it,” said Aggarwal. Shenu Aggarwal, Chief Sales and Marketing Officer, Escorts Ltd.
Q. 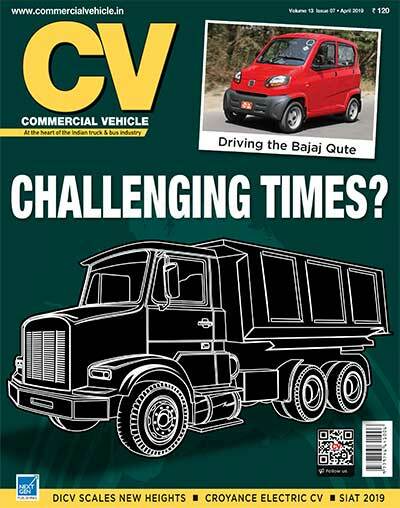 What are the reasons for the development and introduction of heavier tractors? 75 hp tractor to work in India, we are looking at farmers with large farm holding. It might not be a very wide spread market right now, it is however growing. The main reason is the use of bigger implements like big potato grinders. 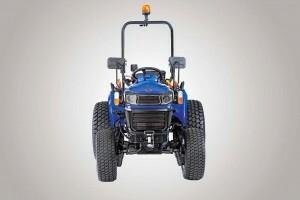 Tractors in such applications of up to 50 hp may not offer the lower cost of ownership. It will be the higher hp tractors that will offer lower cost of ownership. For tractors above 80 hp, we do not see much demand in India. Q. How is Escorts addressing the local and global tractor markets? A. The market outside India is in the range of 75 and 90 hp. There is no country in the world where the demand is zero for such tractors. So, each market that we go to, the tractors that we offer in the 75 to 90 hp range will play a crucial role in helping us to establish our presence. We were a bit starved of the exports volumes because we were not having the right range. Now, we have the complete range. Our export volumes are currently very small. We are targeting up to 12000 units for exports. We should bridge the target in the next four to five years. We produce the Farmtrac and Powertrac brand of tractors at our two plants (adjoining each other) at Faridabad. While we were designing our new range, we also made the necessary changes to the plants. We invested Rs.30 crores. We have also produced tractors in Poland. The Polish entity is 100 per cent owned. We have also outsourced assembly lines. If a local distributor wants to satisfy local norms and wants local value additions, they manage the same. Q. Why did you opt for electric propulsion? A. We are currently working on both, hybrid and electric models. The latter is a pure form of non-diesel tractor. It poses certain challenges, which may have led some companies to think of hybrids before moving to it. Much depends on how an electric tractor could be made commercially viable; the demand it will enjoy. Demand increase should be in the shortest time. We are also looking at challenges like charging the battery with the use of a 440-volt supply for fast charging. Charging with the use of a 220-volt outlet is not as fast. This calls for a suitable infrastructure. To devote 10 to 12 hours to charge the battery of an electric car is difficult. In the case of tractors, they are idle after the sun sets. An operation at night over a vast parcel of land is difficult. A tractor can thus devote up to 10 hours for charging. 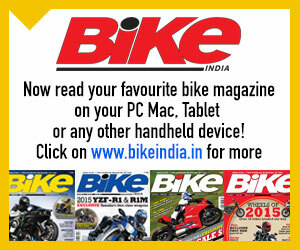 It could do without proper charging infrastructure as it has to work inside a confined area. It is only if you have to use the tractor day and night, that there is a challenge. The challenge to charge with a 440-volt infrastructure. A full charge at 440-volt could be achieved in six hours. Q. What batteries have you opted for? A. We have opted for lithium ion batteries. These are light in weight, compact in size and can store more charge. Since we are not a battery research company, we are outsourcing it. We are looking at costs, and at the task of designing tractors. We therefore took a battery and designed a product around it. The fact is, it is not the battery but the software where the trick lies. It is all about how the tractor operates, conserves energy, and makes its possible to operate for long hours. There are many leakages, which could reduce the efficiency. A tractor cannot run for seven hours non-stop. One cannot have an electric tractor that looses charge in one hour. For us, an electric tractor is work in progress. Q. Many parts of India have experienced floods. Will this affect the sales of tractors? A. Bihar, Uttar Pradesh and Rajasthan are some of the big agri-markets that have seen flooding. Floods are often found to affect areas that are not well irrigated, and dependent on rain water. Flooding usually gets the ground water level up. Farmers find that they are in good supply for the next two or three years. It is exactly the opposite when there is a famine. There, the water level takes three to fours years to come back to the normal levels. The problem with floods is that it destroys a standing crop. Farmers lose money. Q. 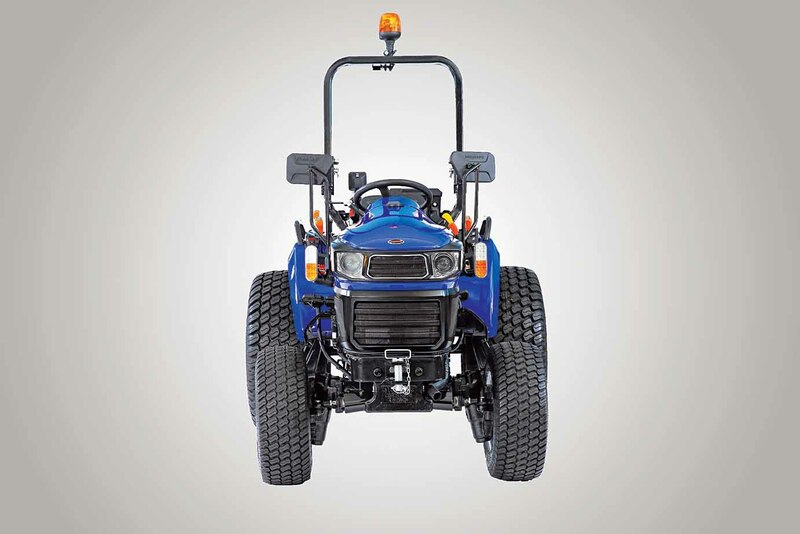 Are you seeing a demand for AC tractors? Do they not affect the efficiency? A. An AC will need more power. Beyond that there is no major impact. In a 75 hp tractor, the AC consumes 3hp. These are four by four tractors and a ‘major’ game outside India. Q. How many vendors are you currently working with? A. We are currently working with almost 300 vendors. We are outsourcing various components. The bonnets, for example, are supplied by Krishna Maruti. The intellectual property rights are ours; the design is ours, and the quality level is also specified by us. It is things like the treatment of sheet metal parts that is done in-house to ensure there is no room for rust, vibration, etc. We have thus kept manufacturing of up to 70 per cent of critical components with us for in-house development. This helps us to assure quality. Q. What are you doing to comply with the future emission norms? A. We are currently at BS III norms for agricultural products. The next level of norms is going to be BS IV in India. It will be applicable to everything else other than tractors. The date for the same has not been decided yet. Earlier the government wanted to implement it in 2022. But now, because of the worldwide pressure, the government is said to have pre-poned the date of implementation. As far as we are concerned, we are fully prepared. The world is already at tier IV, and we can’t export anything until we can produce tractors that comply with that level of regulation. We thus have the technology, which we can apply in India as well. It is not challenging for us.